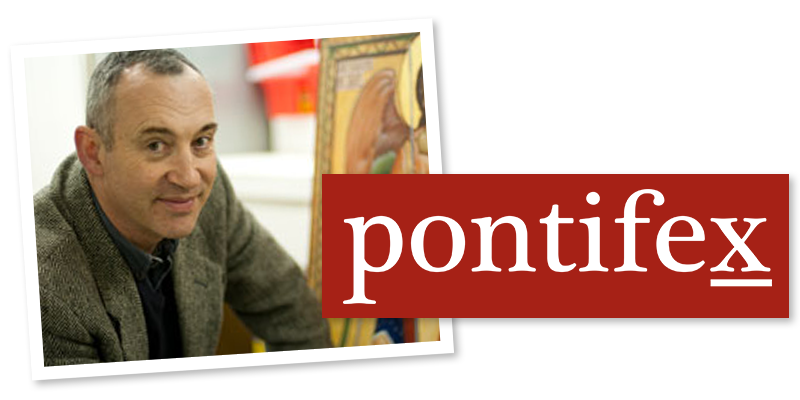 I would like to bring to readers' attention a society that has been established, inspired by Pope Benedict XVI's call to artists to be 'custodians of beauty'. 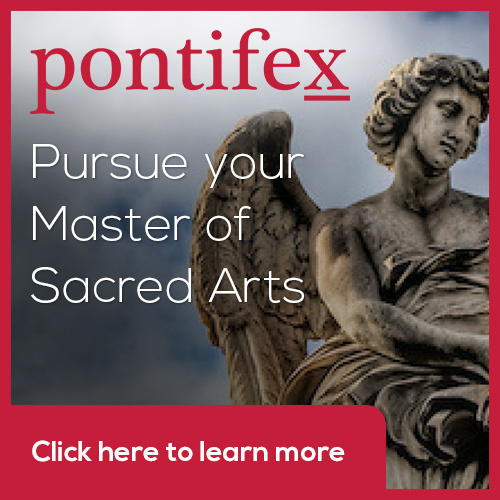 The Society of Catholic Artists, web site here, describes it's aims as fraternal, spiritual and intellectual. So it puts artist (and media professionals) in touch with each other; it promotes the idea that the work of the artist is founded upon his spiritual life and that artists develop intellectually so that they understand the tradition and their place within it. There is a strong emphasis on the liturgy and the events they have organised, each time in New York City, are talks and recollections organised in conjunction with Mass and, very encouragingly, the Divine Office. Two of the figures involved are very strongly interested in this connection between liturgy and culture: Fr George Rutler is based in New York and is well known as a speaker and broadcaster and is soon to be speaking in Boston Thomas More College's symposium entitled the Language of the Liturgy, Does it Matter? at the President's Council event on Saturday December 3rd at the Harvard Club (more details here). The is Fr Uwe Michael Lang who I remember from my time of attending the London Oratory, that beacon of beautiful liturgy in London. Fr Lang is a published author on the liturgy and his book Turning Towards the Lord had a preface from the then Cardinal Joseph Ratzinger. One thing that the society has avoided is endeavouring to promote contemporary art and artists. This seems to me to be a good decision. It is a difficult balance to strike. On the one hand we want to be encouraging to those people who respond to the Pope's call and are prepared take the risk and try to be those custodians of beauty in service of the Church. But on the other, how do we decide who has been successful? Inevitably personal choice has to play a part. Choice by committee, especially if that committee contains artists, always seems to move towards mediocrity. Artist's tend not to want to openly criticise each other, because they know that it then gives others assent to be brutally frank about their own work. Also, if competitions or exhibitions are held, then in order to have sufficient paintings to show, the organisers of any such exhibition must compromise standards. This immediately undermines the idea that they are trying to encourage the highest standards and undermines the credibility of their message, which in all other respects might be very good. Behind the idea of having exhibitions and competitions to promote artists is the assumption that the top quality artists are out there, it's just that we don't where they are. In in the naturalistic forms I do not think this is correct. There are very few artists that match up the highest standard and we already know who the best ones are. As someone who paints, my belief is that at this stage our work is one of the training and education of artists and re-establishing the principle of tradition. Perhaps the next generation of artists will emerge as capable of emulating or even surpassing the glorious work of the past by building on what some us hand on to them. Many of friends who are artists, and some of them are in my opinion the very best of those around today, happily admit that they do not compare with the greats of the past, but hope to contribute to the training and formation of the next generation in service to the Church. So bereft are we at the moment of genuinely high quality artists, that those of genuine ability stand out in the crowd and do not need to be promoted by a non-for-profit organisation. There are already enough channels of communication to get their work out there - today more than ever. Their work speaks for itself and looking at this, my instincts tell me that market forces are the best mechanism for distribution. Those who are paying, choose what they want. It's not perfect, but I can't think of anything better. This does seem to be what happened in the field of iconography, where the reestablishment of the tradition began earlier (in the early/mid 20th century). We are now several generations of artists into this renewal of this tradition and we are seeing steadily more top quality artists who are getting commissions. On the whole, it is their work is their greatest advertisement. The lesson for all artists here is very clear in my opinion (and I acknowledge very happily that this applies to me): if patrons are not hammering at my door to commission work, then the one thing that I can try to change is the quality of my work. I must become a better artist if I want to sell more paintings. For all this, and strange as it may seem, I am not pessimistic about the future. I do think that things are moving the right direction. We see signs of cultural renewal, in the wake of liturgical renewal (which forms arists and patrons alike). We should be realistic about where we are, but at the same time strive to encourage artists to continue to improve. It seems that the Society of Catholic Artists recognises this and aims to help them to do so. The images are from the top: St Luke (patron saint of artists) by El Greco, in which he points to the famous icon of Our Lady and Our Lord, the 'hodegetria', that he painted; the ox is the symbol of St Luke the Evangelist and below an icon by an unknown Russian iconographer of St Luke painting his icon. Older PostShould a saint always have a halo? And should it always be round?